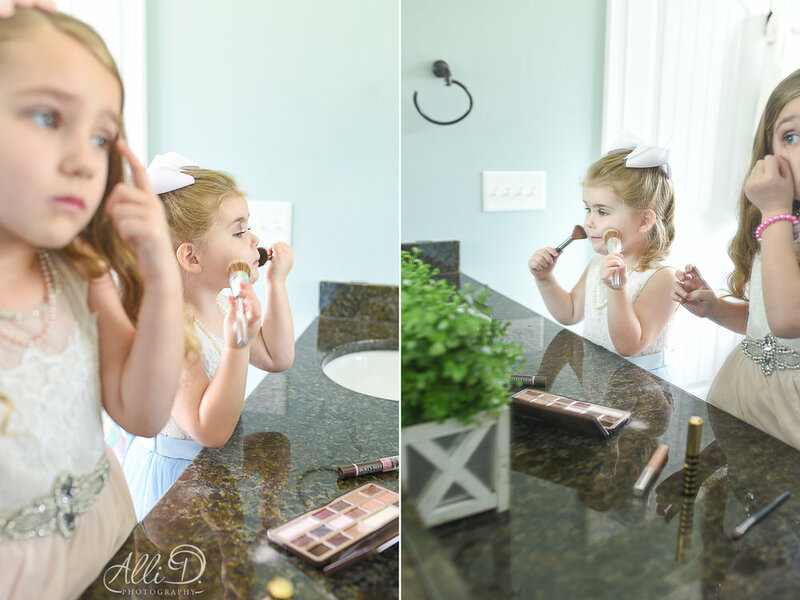 One of my daughter's favorite things to do when my back is turned is getting their hands on my makeup! 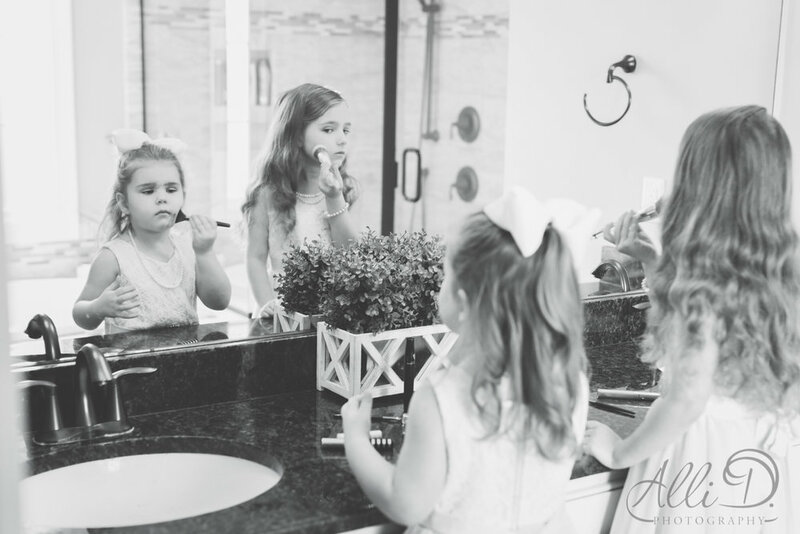 There is just something fun for them about putting on makeup and pretending to be grown. My mom planned to take the big girls to the "Grandma and Me, Story Time and Tea Party" at the My Little Teacup Tea Room and Bakery. 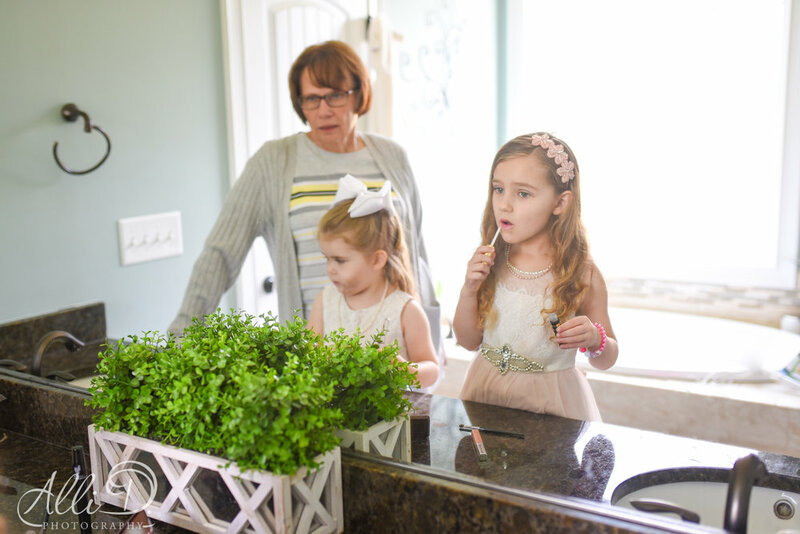 They wore their fanciest dresses and pearls and debated that they should be able to wear makeup for this special occasion. Today I decided to just let them be little, and let them play. My eyeshadow pallet, with never be the same.